LEXINGTON, Ky. (Nov. 1, 2018) — Due to the overwhelming popularity of our open house events — including “see blue.” Friday and Saturday and our spring semester events — the Office of Undergraduate Admission is pleased to announce an additional “see blue.” Saturday date for prospective students this fall. After reaching maximum capacity for “see blue.” Friday on Nov. 16, it was evident that an additional fall date was needed to meet the demands of students who want to visit the university’s campus. With that information, the Office of Undergraduate Admission added an additional “see blue.” Saturday on Saturday, Nov. 17. 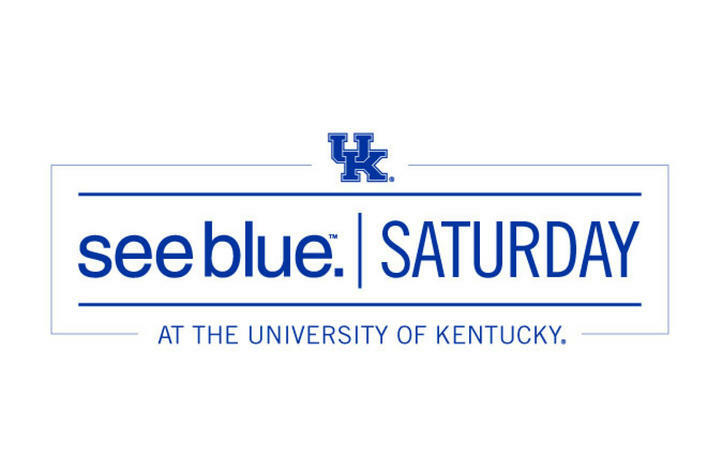 Our “see blue.” Saturday allows students to choose their own schedule. Admission and scholarship information sessions will be offered at 8:15 a.m., 9:15 a.m. and 10:45 a.m. Campus tours including academic and campus housing stops will take place at 9 and 10 a.m. From 10 a.m. to noon, a college and academic fair will be held. Registration and information sessions will be held in the Gatton Student Center. Students should register for “see blue.” Saturday online. Space is limited for the event, so it is important to register as early as possible. That afternoon, the UK football team will host Middle Tennessee State University at Kroger Field and is a great way to experience a football Saturday in the South. Visit UKFootballTix.com to purchase tickets to the game. If you have any questions, contact Enrollment Management Director of Events Prim Hudgins at primwathen@uky.edu.